The CelticSaver HSA health plan is a qualified high deductible health plan designed to provide you with major medical coverage including up to $5,000,000 of health insurance protection, combined with a Health Savings Account (HSA) option to make your health plan even more affordable. Please see our CelticSaver HSA plan page for complete details. Health Savings Accounts (HSAs) are savings accounts that are coupled to high-deductible health insurance policies. You can deposit tax-deductible money into the HSA and use it to pay health care expenses throughout the year that aren't covered by your health insurance plan. The Celtic Basic (non-HSA) PPO Plan offers you comprehensive coverage, including a co-payment for doctor visits. See below for complete details. Annual Deductibles Please run an instant quote for deductibles in your area. Non-Preventive office visits to Network Provider 2 visits, $30 copay per person, per calendar year. 3rd and subsequent visits subject to annual deductible and coinsurance. Labs and x-rays Subject to annual deductible and coinsurance. Brand drugs w/ a generic substitute - $25 copay + 100% of the cost difference between the brand name drug and the generic. Hospital Confinement/ Inpatient Services $500 deductible per admission + Annual Deductible. Average semi-private room rate. Intensive care at 4 times the average semi-private room rate. Outpatient Hospital Services $250 deductible per occurrence + Annual Deductible. Day surgery, major diagnostic procedures and medical services including charges for x-rays, lab tests, EKGs and radiation therapy are eligible expenses. Out-of-Network Services Doctor and Hospital per occurrence Eligible charges reduced additional 20%, no cap. Preventive Care (eligibility begins after 12 months of coverage) Eligible expenses for medical services and supplies incurred for preventive care in an asymptomatic individual are covered first dollar up to $200 per person, per calendar year. Rehabilitation Facility Inpatient - up to 30 days confinement per person, per calendar year. Home Health Care Up to 20 visits per calendar year. Transplants Covered up to amount negotiated by network if Transplant Network used; capped at $100,000 per procedure if insured goes out of network. Ambulance $3,000 maximum per person, per calendar year, for emergency air or ground ambulance service. * The Rx Discount Card is a value-added feature and not part of the insurance contract. ** When the Prescription Drug Card Option is chosen, it replaces the Rx Discount Card. Note: The total family deductible is the amount equal to three times the per person deductible. Out-of-pocket maximum is three times the per-person maximum, per calendar year with no carry over. This information is presented only as a very brief overview of some of the benefits of this plan, and is intended only for general education. The amount of benefits provided depends on the plan selected. Premium will vary with the type of benefits selected. These plans contain exclusions from and limitations of coverage. Please see the product brochure for more complete information, as well as information about terms of renew ability, preexisting conditions, out-of-network penalties, and notification requirements. Plans are subject to health underwriting. 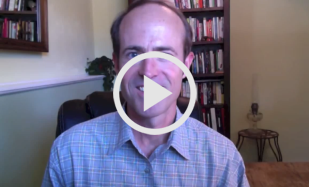 To be considered for reimbursement, expenses must qualify as covered expenses. Expenses are also subject to reasonable and customary limits, unless you use a network, and all other policy provisions, including determinations of medical necessity.. The Celtic Basic plan offers quality, basic health insurance coverage at affordable rates to fit most budgets. It is a no-hassle PPO with 80/20 coinsurance, maximum lifetime protection of $5 million, two $30 copay office visits per year, with a $200 wellness benefit included. This plan does not qualify to work with an HSA. Many of our customers add a supplemental accident plan to their coverage. These plans cover a set amount ($2,000, $5000, or $10,000) for any accident, after a $100 deductible. Having a supplemental accident plan can greatly reduce the exposure of a high-deductible plan. These plans are not associated with Celtic Insurance Company, and must be purchased separately. Complete information is available on our Accident Plans page. Preferred rates without riders are available on our instant quote page. The quoted rates are for the $5 million maximum benefit, and do not include any optional benefits. Rates depend on gender, smoking status, zip code, and health status. The premium can be paid via monthly quarterly, semi-annual, or annual billing, or a monthly bank draft. The bank draft will occur on the premium due date each month. The initial premium can be paid with a check or credit card. All monthly and quarterly billing includes an $8 fee per billing cycle. Celtic's PHCS network includes more than 320,000 physicians and ancillary care providers in 50 states and the District of Columbia, serving 1.3 million PPO members. The nationwide Celtic PPO network assures you access even when traveling or relocating to another state. Celtic also partners with the largest network of pharmacies in the country to give you prescription drugs at the lowest pre-negotiated rates. Show your Celtic ID card at any of the 50,000 participating pharmacies nationwide and receive substantial savings on your prescription drug purchases. Underwriting of your application with Celtic normally takes two to four weeks, though again if medical records are ordered it could take longer. Celtic is fairly lenient compared to many other insurance companies, and often accepts applicants who may have been turned down by other insurance companies. It is standard practice to request a Blood Pressure Inquiry on all applicants who are currently being treated for or who have recently discontinued treatment for high blood pressure. Certain conditions may be waived with a temporary rider (usually for one to two years), or an indefinite rider. The earliest your coverage can go into effect is the day after you have signed your application. You may request an effective date any time between 1 and 60 days after you sign your application. Please note, if you are requesting an effective date of less than 21 days from the time you complete the application, you may not receive notification of your approval until after your effective date. If you have claims during this period, they will be eligible for coverage if submitted after you have been approved. Also note that you will be billed starting on your requested effective date, even if you have not yet been notified that you have been approved. This is very good for someone who does not have any present coverage and would like for their benefits to begin right away. For those who are already covered, it is suggested that you maintain your current coverage in force until you have received notice from either ColoHealth or directly from Celtic that your coverage has been approved and is in force. Because underwriting can sometimes take 3 weeks or longer, if you do not currently have coverage we recommend that you apply for a Short Term plan. This plan can go into effect tomorrow, giving you important protection until your new permanent plan is in place. Celtic Insurance Company is headquartered in Chicago, IL. Celtic began operating in 1978 as a broker, insurance and reinsurance company for group life and health coverage. Today, the company has narrowed its focus and holds a strong commitment to the individual health marketplace. Celtic has been assigned an "A-" (Excellent) from the A.M. Best Company, an independent insurance rating organization. A.M. Best assigned this rating after a thorough quantitative and qualitative evaluation of a company's financial condition and operating performance. For more than 10 years, Celtic has earned a rating of "Excellent" for consistently demonstrating profitable operating results, high-quality investment portfolio and favorable capital position. Celtic holds no junk bonds, real estate or direct mortgage loans and maintains no outstanding debt. 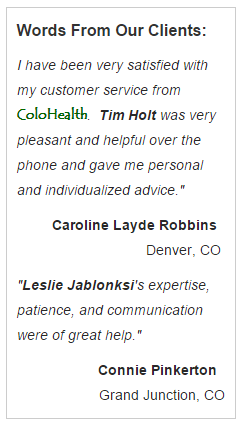 ColoHealth is an independent authorized Celtic agent in Colorado.